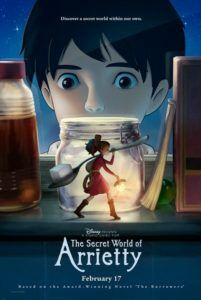 As the theater’s lights dimmed before The Secret World of Arrietty, movie trailers began advertising several Hollywood-brand animated films. One preview for the third Madagascar flick showed talking animals that dance to thumping beats, dodge explosions, and make in-your-face gestures. Another trailed featured claymation pirates who, even amid some clever quipping, manage to fit in street slang and pop-culture references galore. 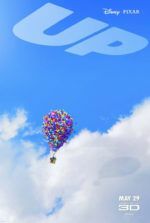 Even the gorgeous trailer for Pixar’s 2012 release, the promising Brave, wasn’t above potty humor. But when the film started to roll on Studio Ghibli’s feature, its unobtrusive opening settled my rattled sense of viewership, and through a staggering contrast, it became apparent how over-stimulated the majority of Hollywood animated films have become. Adapted from Mary Norton’s 1952 novel The Borrowers, the film comes from Japan’s premier animation house, whose works by legend Hayao Miyazaki (look over the Miyazaki Retrospective) are so well regarded by Pixar and Disney animators. John Lassetter himself convinced Disney to import Miyazaki’s catalog for English-language redubs and future distribution, exposing western audiences to the apex of animation-as-cinematic-art. Miyazaki, and by extension all Ghibli films teach us that animation can be used to observe the rain or a ladybug’s crawl; they build characters and tell deeply moving stories. They have no need for fast-talking antics or dated pop-culture references; no need for 3-D glasses or an abundance of computer-generated imagery. Their simple, hand-drawn approach embraces a painterly visual style that enhances their stories and enduring contributions to the art form. The script, by Miyazaki and Keiko Niwa, follows Norton’s original novel, in spite of moving the story from post-WWII England to a secluded house on the outskirts of present-day Tokyo. The 14-year-old Arrietty and her parents, brave father Pod and nervous mother Homily, are tiny people known as “Borrowers”, living under the floorboards of a full-size human house. They make due by taking a cube of sugar here, a safety pin there, and using these things we would never miss in inventive ways to survive. When a good-hearted human teenager discovers Arrietty, his suspicious housekeeper makes it her mission to sniff out the miniature family, while Arrietty and her big, newfound ally form an unlikely friendship. But this take is much more than an adventure on a small-scale; rather, the narrative contains some heavy notes about lasting traditions, the importance of family, and even waxes philosophical about our impending doom. Audiences familiar with Miyazaki’s work won’t be surprised by the sophisticated storytelling or animation on display. Likewise, they’ll find themes here present throughout Miyazaki’s oeuvre, such as his wonderment with Nature and his recurrent structure where a child discovers another world right under their nose. Fans will closely align this film with My Neighbor Totoro, as both are about a young person from a broken family who, after moving to a new home in a natural setting, finds something fantastical. Moreover, it shouldn’t surprise anyone that Miyazaki chose this material; he’s a longtime Anglophile, as evident in his adaptations of Howl’s Moving Castle and the frequent Euro-inspired scenery in his films. Although released in Japan in 2010, the film has already made over $125 million in worldwide box-office receipts. The U.S. distribution comes with an Americanized quality, yet was overseen by Disney with impeccable consideration. Top-notch voice casting in the U.S. version features Bridgit Mendler, David Henrie, Amy Poehler, Will Arnett, and Carol Burnett. 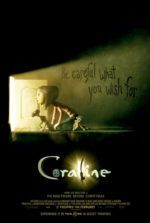 The British version released in July 2011 had its own (perhaps superior) cast, including Saoirse Ronan, Mark Strong, and Geraldine McEwan. Even though dubbing for another language is less apparent in animated films, obviously the ideal choice is the original Japanese language. But since North American audiences are even less likely to pay for a subtitled film than they are to see an imported animated film from Japan, Disney is taking the safe route to protect their investment, leaving purists to wait for the home video release to see the film in its original form (and without that dreadful English-language pop-music song that plays over the end credits). Nevertheless, first-time director and Ghibli-trained animator Hiromasa Yonebayashi delivers everything we’ve come to expect from this studio, with an assured and adept understanding of character, visual detail, and temperate storytelling passed down from Miyazaki. The Secret World of Arrietty (known as Karigurashi no Arietty or “The Borrower Arrietty” in Japan) is an easygoing, elegantly rendered piece of animation, with a soft, expressive score by French musician Cécile Corbel. It’s the kind of film that makes you slow down and consider its vast details long after the running time, whereas most Hollywood animated features feel like they were made to keep up with sugar-sniffing and technology-obsessed kiddies. 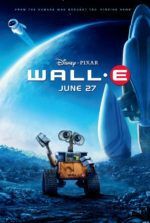 As a result, some North American viewers (especially children raised on hearty doses of Dreamworks and Fox animation) may find themselves impatient toward the film’s tranquil quality; but if your or your children are too impatient to appreciate qualities such as beauty and simplicity, there’s a problem.